DAVID LE/Staff photo. 2/25/15. 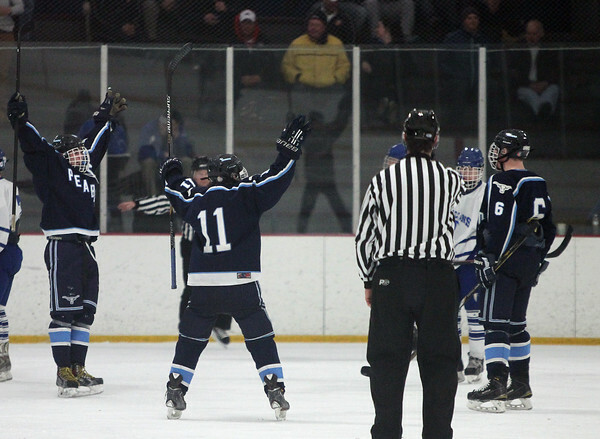 The Peabody Tanners boys hockey team comes over to congratulate junior defenseman Donny Shaw (6) on his second period goal.